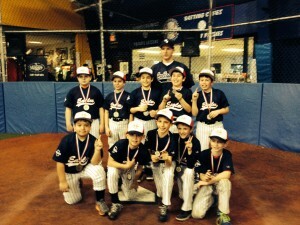 The 9/10U and 11/12U Eagles Baseball Association teams closed out the PBI Baseball League 2013-14 indoor season with exciting championship wins on Sunday January 26. 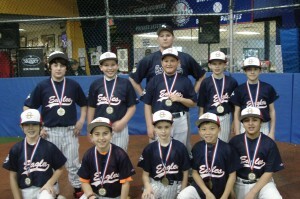 While most of the eastern seaboard of the United States has been sequestered inside due to frigid temperatures, our Eagles teams were participating in the PBI Baseball League’s indoor season. The 9/10U Eagles finished off their 7-1 regular season with a thrilling 3-2 win over a very tough New City Generals squad. The 11/12U Eagles broke through with two late runs to snap a 1-1 tie against Monroe-Woodbury and secure a 3-1 win. For more information on the PBI Baseball League, visit the League’s webpage.